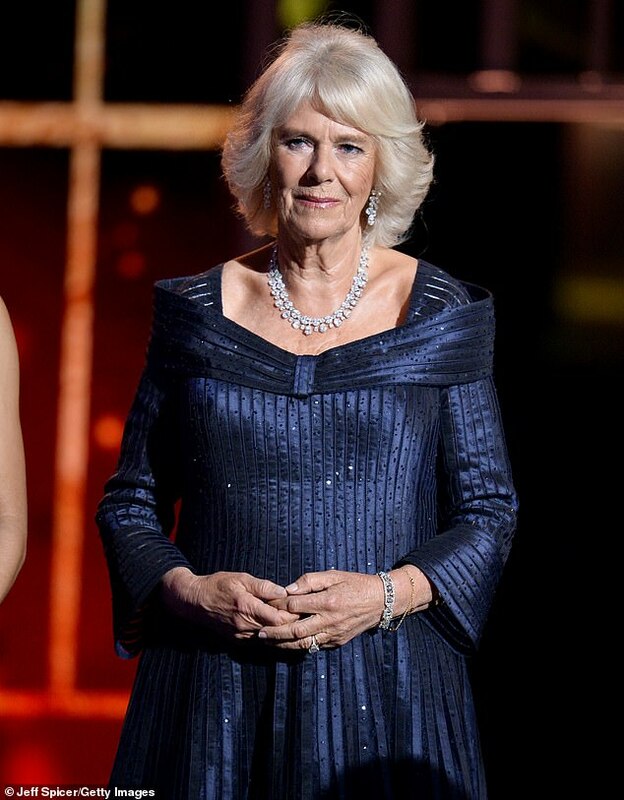 Danny Dyer shocked audiences at the Olivier Awards on Sunday when he made a ‘cheeky’ joke about the Duchess of Cornwall as he presented a prestigious prize. 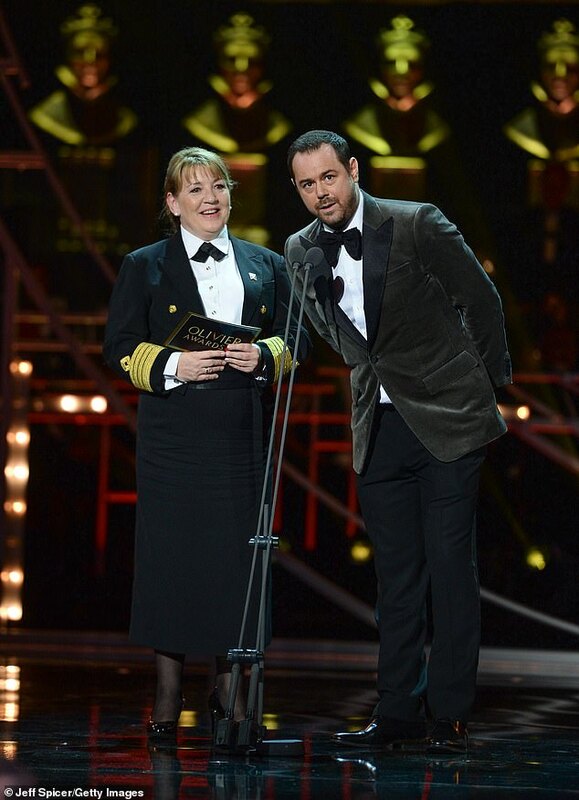 The EastEnders actor, 41, made the flirtatious joke about the guest of honour when he was on stage at the Royal Albert Hall in London. ITV decided to cut the actor’s joke from its coverage of the event when it aired later on Sunday night, the Sun reported. 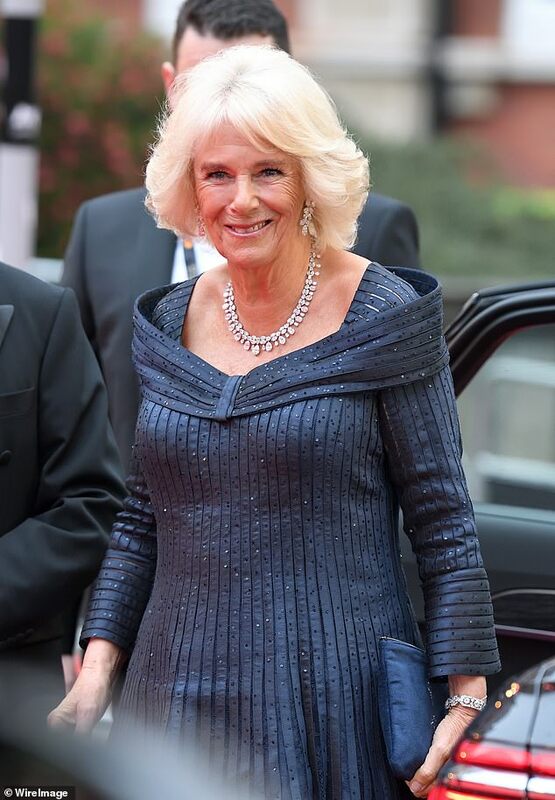 An insider said the decision was made because ‘it could have upset the Duchess’ if the moment was repeated. 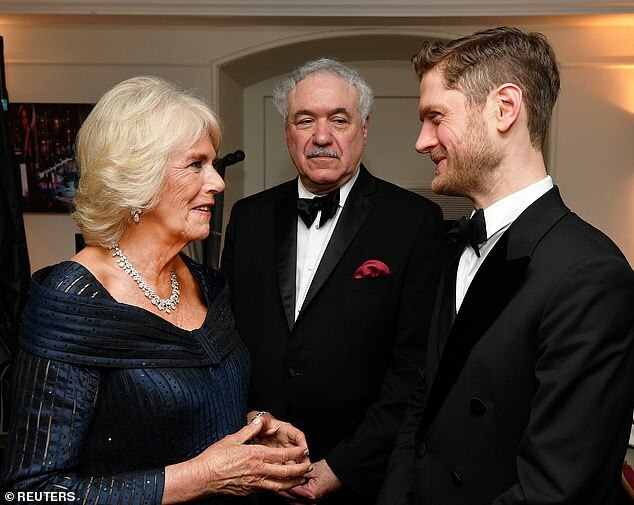 A source said: ‘Danny’s known for his cheeky humour but bosses were hoping he’d keep it in check — especially as Camilla was in the audience. The actor had also ruffled feathers earlier in the night when he broke protocol by smoking on the red carpet. A representative for Danny has been contacted for comment. Come From Away, Company and The Inheritance came out top at the coveted ceremony when they each took home four accolades. Musical Come From Away, about the Newfoundland town of Gander that hosted thousands of travelers stranded by canceled flights after 9/11, won Best New Musical at Britain’s equivalent of Broadway’s Tony Awards. The show, which is currently at the Phoenix Theatre, also won the Outstanding Achievement in Music award and Kelly Devine took home the prize for Best Theatre Choreographer. Come From Away’s Gareth Owen was presented the Royal Albert Hall Award for Best Sound Design. A gender-switched production of Stephen Sondheim’s Company also won big in categories including Best Musical Revival. 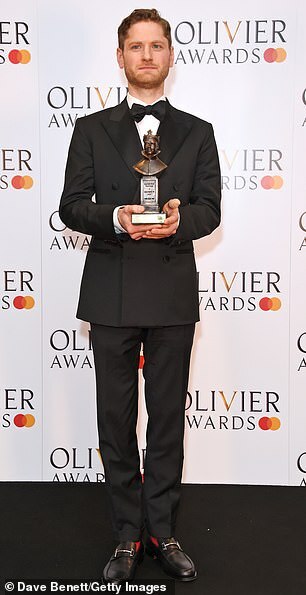 Jonathan Bailey, who performed as Jamie in the show, picked up his first ever Olivier Award for Best Actor in a Supporting Role in a Musical. And two-time Grammy Award winner Patti LuPone took home the prize for Best Actress in a Supporting Role in a Musical for her part in the re-imagined show. The musical, which starred Rosalie Craig, also won the Blue-i Theatre Technology Award for Best Set Design. Epic gay-history drama The Inheritance won four of its eight nominations at the Oliviers this year – including the American Airlines Best New Play Award. First time nominee Kyle Soller won Best Actor for his role in Matthew Lopez’s play. The Inheritance also won the White Light Award for Best Lighting Design and the Sir Peter Hall Award for Best Director.